The east has always been forward in terms of technology. Recently, we’ve heard tidings from China, where electric taxis will soon begin doing the rounds. 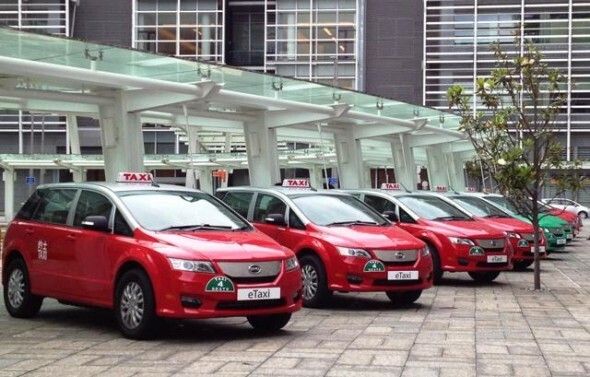 With the initiative kicking off in Hong Kong, these flaming red taxis will keep a substantial amount of pollutants away from the Chinese atmosphere. The fleet currently boasts 45 BYD e6 models. These cars sport a 300 mile range on a single charge. To power these up, the authorities have strategically placed nine fueling stations. Here, drivers can relax while their taxis juice up. China has been looked at warily off-late with the pollution levels in some of its most important cities skyrocketing. This move in Hong Kong is bound to spread across China, or so we hope, and make this technology hub greener. Hong Kong engineers generate energy from water gushing through pipes!